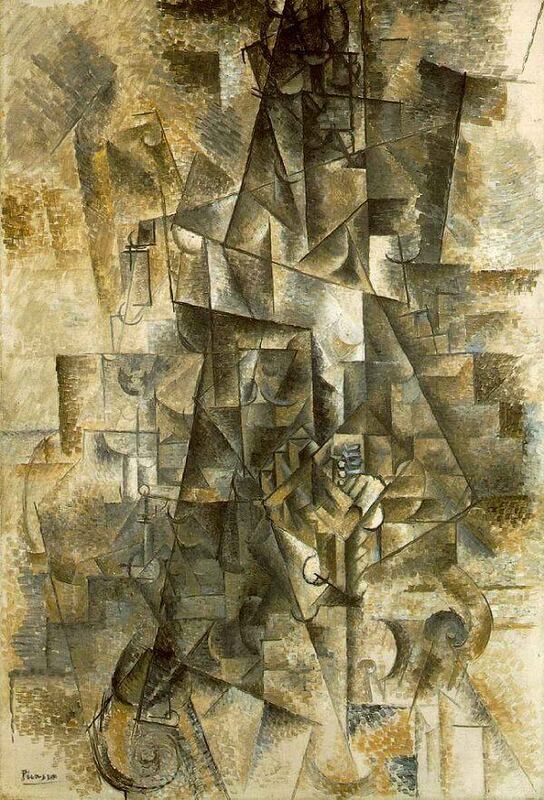 The painting, The Accordionist, was painted by Pablo Picasso in 1911. This painting depicted a man who is playing an accordion as indicated by the title. The painting was painted in the style of analytic cubism, which divided three-dimensional forms into a two-dimensional plane. This style was developed by Picasso and Georges Braque between 1907 and 1914. Picasso experimented breaking up the subject matter and change the sense of depth at the earlier stages of analytic cubism. At that stage he still applied a defined sense to the subject's volume and shape. As displayed in this painting, the picture plane is distorted but not to the same degree as it is in Picasso's later paintings. You can also tell if a painting is early or late analytic by the use of the color. In his late paintings Picasso use color to define different objects and allow user to easily tell the difference of subject matters. In this painting, the Accordionist, the color is almost monochromatic and it's hard to discern the subject matter.